Announced today at conf.kde.in in Bengaluru, Project Neon is back, new and ambitious. Those of you who have been around KDE for a while might remember the old incarnation, which provided nightly builds of Amarok. Now the new generation of talented young Kubuntu developers announce that Project Neon is open for business! 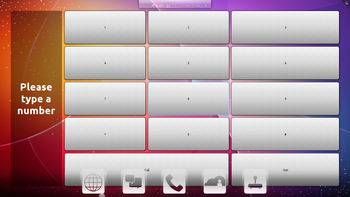 Yesterday's Kubuntu 10.10 release features new KDE software for your phone. Working with KDE's Plasma Mobile team, Kubuntu have created Kubuntu Mobile, suitable for smart phones and available for i386 and ARM platforms. This is a technology preview of the upcoming Plasma Mobile workspace and is not ready for day to day use. Kubuntu 10.10 also features an application-focused KDE interface to the cross-distribution PackageKit package management layer, providing a modern and easy to use native interface for installing and updating your software. Over at openSUSE News, the new KDE features in openSUSE 11.2 come under the spotlight before its release in a few days. KWin stalwart and openSUSE hacker Luboš Luňák bares his soul. See how KDE is presented as the default desktop on openSUSE, and find out how the openSUSE team made Firefox fit in on a KDE desktop. openSUSE 11.1 is now out (screenshots), featuring KDE 4.1.3 and a string of KDE improvements. Official Slackware packages of KDE 4.1 (and dependencies) are now in the "Testing" directory of Slackware-current. See the changelog for more information, and read on for a quote from Slackware founder, Patrick Volkerding! 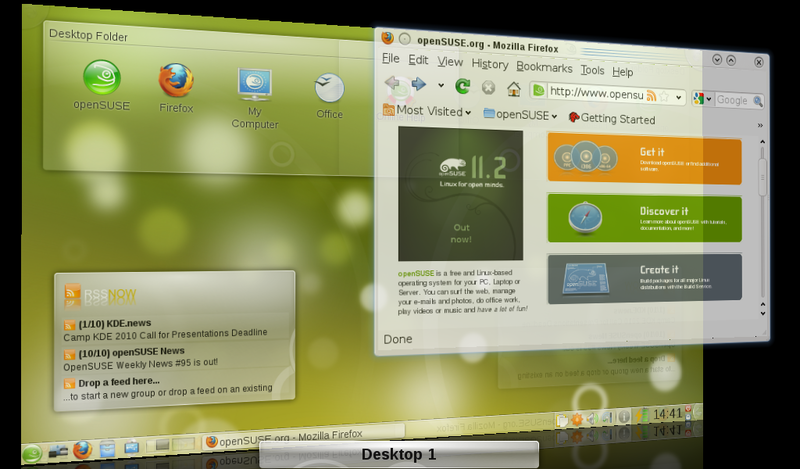 openSUSE 11.0 has been released (screenshots), offering KDE 3.5.9 and an excellent experience of KDE 4.0. There has been a huge collection of changes and additions in this new release. The Fedora Project has announced the release of Fedora 9, codenamed "Sulphur". KDE 4 is seen by many to be the next big step on the free software desktop, while many do not yet advise it for everyday use. Either way, it is an innovative release and in line with Fedora's goal of providing the latest and greatest free software it is set to be the default KDE environment in the next major release of Fedora. KDE's intrepid FAQ maintainer, Jes Hall (aka canllaith), spent some time getting cozy with the latest Kubuntu release and wrote a nice summary for our enjoyment. Get her thoughts on Gutsy Gibbon (Kubuntu 7.10) at her blog.